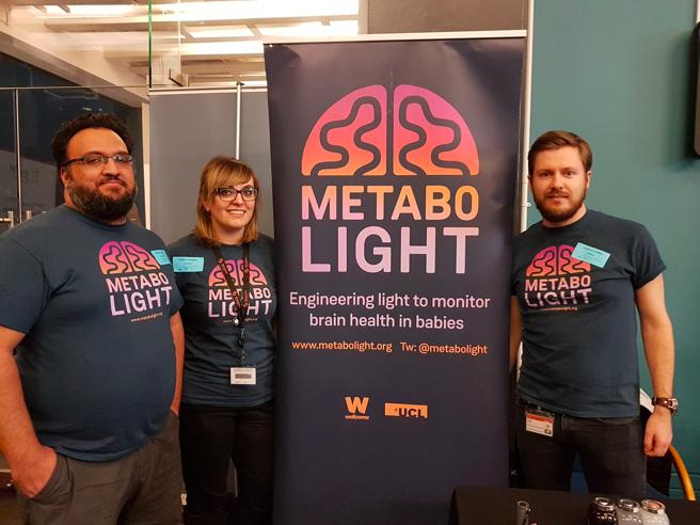 The MetaboLight team at UCL is committed to developing life-saving medical technology and encouraging young people into STEM careers. Ilias Tachtsidis (IT) and Gemma Bale (GB) are members of the team developing CYRIL, a compact broadband near-infrared spectroscopy system that non-invasively monitors brain tissue in newborn babies. In the second of a two-part series, they talk to The Student Engineer about workplace diversity, the government-backed Year of Engineering, and the ways in which young people can be attracted to engineering and STEM careers. We often hear that young people are well aware of engineering, but don’t seem keen to pursue it as a career. Why do you think that is? GB: I think there is a lack of relatable role models from diverse and different backgrounds working in the engineering field. Young people need to see people like them doing engineering and consider it as a career choice. They need to be given the opportunity to try engineering, give it a go, and experience it first-hand. I would have loved this experience – when I was at school I thought engineering was just about men in hard hats on constructions sites, it took me a long time to realise that engineering was for me! As engineers, we need to be able to young people that engineering is much more than just fixing things, it is about being curious about the world around you, finding problems and inventing solutions, using your creativity and imagination. IT: There is still a misconception among young people of what engineering entails and the type of work that an engineer does. An engineer is the person that designs the elevators in a building to carry people onto different floors; but an engineer is also the person that designs an X-Ray machine to be used in the hospital to detect broken bones in patients. In fact, engineering has many different specialisations and applications. We need to communicate these facts to young people and that is what we try to do with MetaboLight. 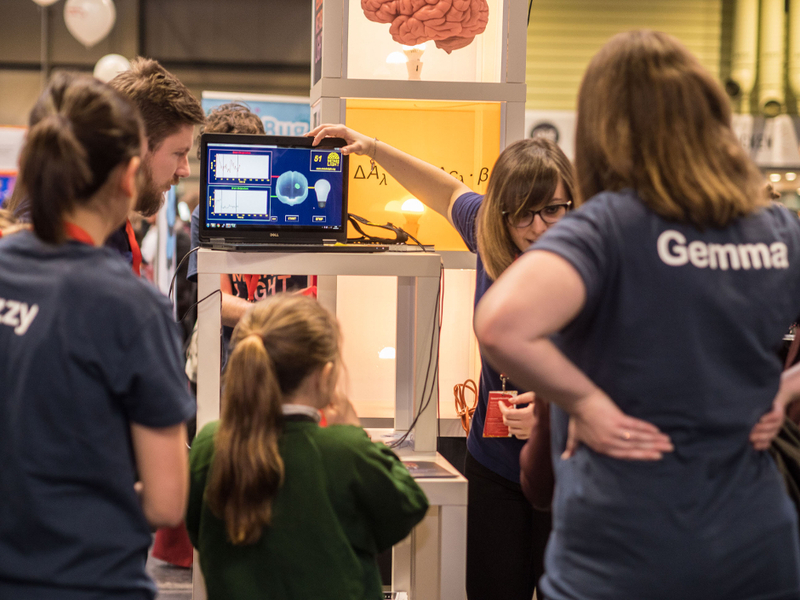 In what ways do you think the government’s Year of Engineering will help with the uptake of STEM careers? GB: As a field we have a unique opportunity through the Year of Engineering campaign to work with others in industry, government and academia across the UK, at a local, regional and national level, to maximise synergies and collectively change perceptions about engineering. We can showcase the range of exciting career opportunities for young people in the UK, for young people of all gender, ethnicity, ability and socio-economic background. We must send a clear message that engineering is an exciting and extremely creative profession. Celebrating what engineering is really about; that as an engineer you can help shape and change the world around you for the better. We often hear about the lack of diversity in engineering, yet half of your team is female right now. What are you doing right that others are getting wrong? IT: I have to confess that I did not realise that. Perhaps that is what I am doing right; the fact that I see the members of my research team as engineers and not as male engineers or female engineers. Beyond that we should acknowledge all the initiatives both locally, nationally and internationally in exposing engineering to female students. GB: There have been many initiatives that are working to support and encourage women in engineering that I believe we are starting to see the benefit of. 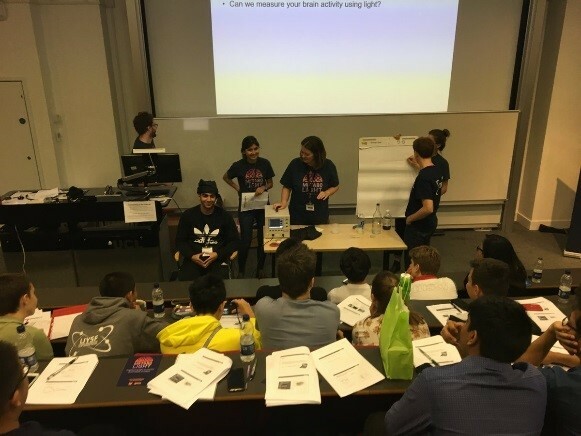 For example, in our department, UCL Medical Physics and Biomedical Engineering, we have been working hard on the Athena Swan Charter to show commitment to gender equality in STEM and this is starting to pay off – almost half of our undergraduate students are female! I hope that through MetaboLight’s outreach program we can provide young people with role models and show that anyone can be an engineer. What advice would you give to an aspiring engineer who wants to use their skills to ‘make a difference’, as CYRIL could do? 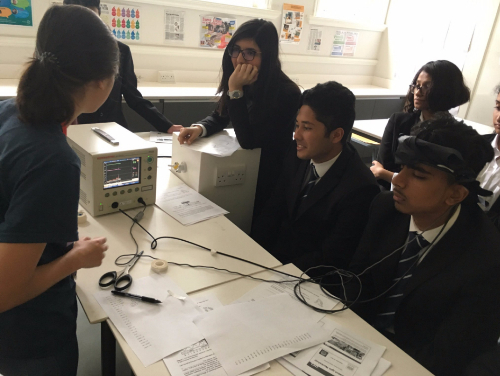 GB: I didn’t know about medical physics or biomedical engineering when I was at school, but I got here because I followed what I enjoyed doing the most and narrowed it down over many years – from maths (school) to physics (undergraduate) to medical physics (PhD). If you’re interested in medical physics or biomedical engineering, there are lots of degree programs around. But if you aren’t sure whether to specialise right away, doing a general physics or engineering course can leave lots of options open! Gemma and Ilias are active in the Multimodal-Spectroscopy research team in the Biomedical Optics Research Laboratory at the Medical Physics and Biomedical Engineering department at University College London (UCL).